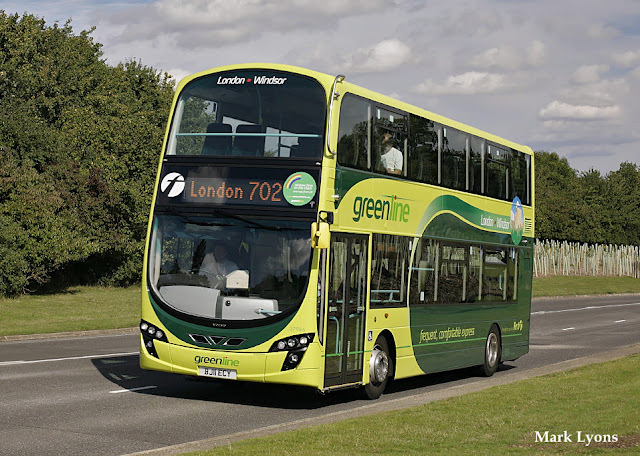 First will finish operating the established Green Line route 702 (London & Windsor) at the end of Saturday 23rd December, leaving Christmas Eve Sunday before Reading Buses' full service starts. 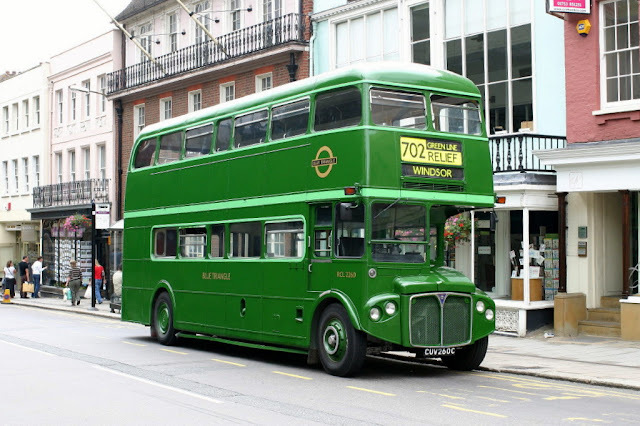 As this is likely to be quite a quiet day they will be co-ordinating a free vintage bus service along the route using volunteer drivers/conductors and their vehicles who will operate in aid of our Reading Buses Charity of the Year, Red Balloon Learner Centre - all donations welcome! Examples of the buses that will hopefully appear are kindly supplied by Mark Lyons. Note also the possible appearance of vehicles supplied by Ensignbus (an Astromega coach and RT type AEC Regent) and something from Reading Buses themselves. The new Reading Buses Green Line 702. From 27th December we are taking over Green Line 702 from First. All existing season and period tickets will still be valid and, for now, the timetable will stay broadly the same, although all London bound journeys will run 5 minutes earlier to make sure we don’t run late leaving London. We have ambitious plans to develop the route and will be evaluating a number of new vehicle types during January and February 2018, with a view to ordering a brand new fleet of modern coaches. We’ll also be watching closely over the coming months to see how the current timetable performs, how good the fares are, and see what opportunities there are to market and improve this useful service to increase use and make it a success for the long term. Most importantly, we’ll be listening to you, our customers. Thanks in advance for your custom and being understanding while we find our feet with this new venture and trial options to suit your needs for the future. We would really appreciate any customer feedback about the route to help us learn - you can email us at customerservices@reading-buses.co.uk with your thoughts on the route if you currently use it. We have decided to keep the timetables very similar to current to start with as this will allow us to see how the service currently operates. We have taken the opportunity to do a few tweaks though so it is worth checking if you currently use the service. 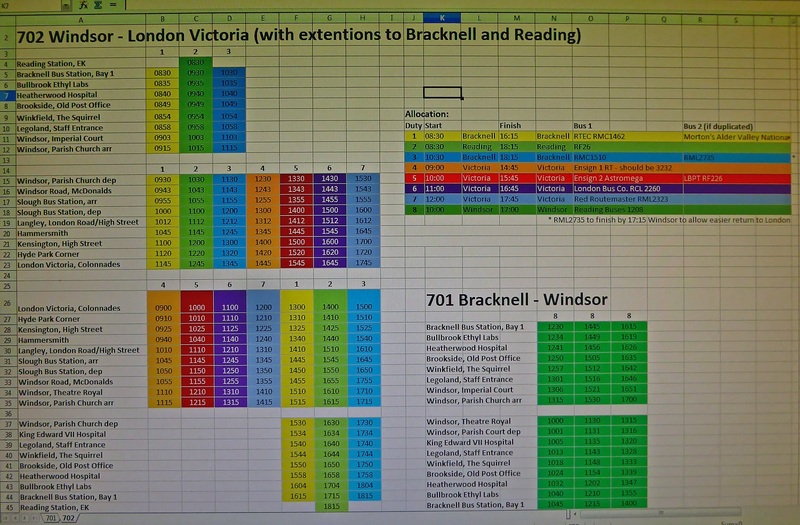 We have also extended a few journeys to and from Reading. These are aimed at commuters and shoppers. For the new timetable, click here. As we seek to understand the timetables that we are running, we realise there may be parts of certain journeys that don't quite work for some people. For that reason, we are developing our own green line 702 app that will allow you to track your coach live on a map meaning you don't have to worry about waiting at bus stops in the cold - simply track the coach in the comfort of your home or work and leave when you need to! The app will be released very soon, so keep checking our website and Twitter feeds for info! Again, fares will broadly be the same as current. All existing season tickets and passes will still be valid and accepted on our Green Line 702 service. Please note, in the interest of keeping things simple for current customers, we will be launching with Adult and Child fares - we will not be extending our Boost scheme to this service. Child fares will only be available for customers ages 5-15. We like to make life easy here at Reading Buses, so our handy green line 702 app will have mobile ticket (mTicket) availability meaning you can buy tickets on your phone! We will also be accepting contactless payments on board for fares of less than £30. For single and return fares, please come back soon to see our full fares table. The tickets in the table below are only available for purchase on a green line 702 vehicle, but can be used on any Reading Buses or First Berkshire service. (Please note, the day and week options are also available from the First and Arriva travel shops in Slough and London Victoria). The tickets on our app may be cheaper! Can only be bought and used on green line 702 vehicles and is valid for up to four people travelling together - just £40, saving you up to 30%! Travel as a group and save on Green Line outside of London. Up to 4 people travel together (any combination of adults and children) for £15 before 9.30am Monday to Friday or £10 at all other times and on school and public holidays. This ticket is only valid for travel on Green Line 702 outside of London and on all Reading Buses services.